Building good credit has many benefits. It helps you get low rate loans and approved for an apartment rental, just to name two. It can be a challenge, though, to build credit without a credit card. Here are five ways to do it. Americans’ credit scores are on the rise. Not everyone is necessarily cheering this news. In fact, this news might make you a little bit nervous if you’re afraid your score isn’t keeping up. The advice you’re undoubtedly getting from friends and financial blogs is that a credit card is the fastest way to build up your credit. What if you don’t have a credit card? You might be thinking that you’re out of luck when it comes to building your credit if you don’t have any plastic in your wallet. Some people prefer to live the cash-only lifestyle and forgo plastic payments. Others shy away from credit cards because of past credit issues. Not having a credit card with your name on it can pose problems when it’s time to apply for a mortgage, get a car loan, or try to secure cash to start your own business. While it’s true that credit cards make it easier to build your credit legacy quickly, you actually have a few other options. You can do some things to make the payments you make for everyday things boost your credit history. Take a look at five ways to build credit without a credit card. Student loans can help you build credit. While you may not like making the payments every month, consistent on-time payments will help your FICO score. Federal student lenders report student loans to credit bureaus. Your credit score will definitely benefit if you’re making your payments on time and taking measures to ensure that you never miss a payment. While it’s never a good idea to take out student loans solely for the sake of padding your credit, if you do need them, you can use them to your advantage. And if you find yourself paying a high interest rates on your current student loans, you can always consolidate them through a loan with SoFi. A loan can give your credit a big boost. Applying for a small loan from your local bank or credit union can be a smart move if you have a very lean credit history. Some banks and credit unions actually offer loans that are designed to boost credit. You can often borrow as little as $1,000 and pay off your loan over the course of a year. We do not recommend borrowing just to build credit. If you need a loan, however, a small short-term loan can help your credit profile. In addition to banks, you could consider a loan from LendingClub or Prosper. Your monthly rent payments could be paving the way to good credit. You can actually take steps to add your good rental payment history to your credit report. The good news is that many corporate landlords automatically report rent payments to credit agencies. Independent landlords aren’t as likely to bother with reporting your payments. However, you can actually register with a service like Rental Kharma or Rent Reporters to get your positive payments reported. You will simply need to arrange with your landlord to have your payments verified each month. Becoming an authorized user on someone else’s credit card is the easiest way to improve your credit. The first step is finding someone willing to let you do this. A parent, spouse, or other family member is usually the best option. This plan probably won’t be as effective if you choose someone who has only owned a credit card for a few years. Joining someone with a long history of carrying a card and paying every bill on time is your best bet. Step two is . . . well, there is no step two. You don’t have to use the card. In fact, you don’t even need to carry the card. Just being an authorized user can help improve your score. One word of caution: If the account holder maxes out the card, this could hurt your score. 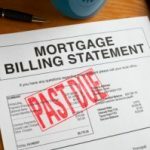 Your score could also go down with late payments on the account. So be sure to work with a family member who is good managing their money. 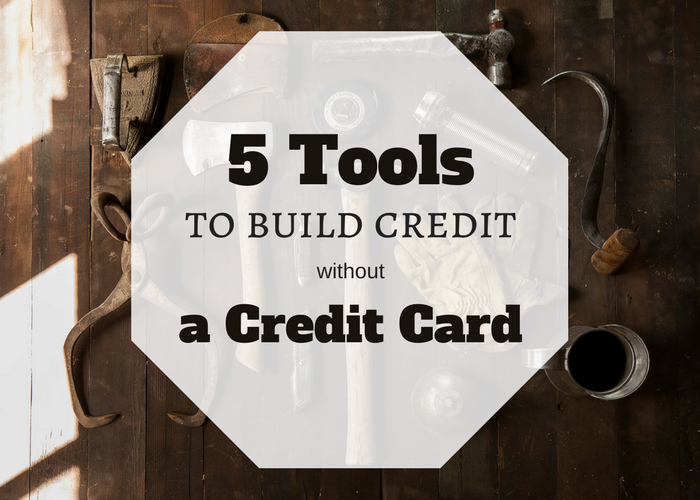 Yes, this article is about building credit without a credit card. A secured credit card, however, is different than a traditional card. A secured credit card is backed by a cash deposit you make to credit card company. Your credit limit typically will equal the amount of your security deposit. If you close the account, the credit card issuer refunds your security deposit. The key is to understand that you must still make monthly payments on the outstanding balance. The security deposit is there to protect the card issuer in the event you fail to make a payment. But a late payment will still hurt your credit score. One benefit of a secured card is that they don’t require a solid credit history. As a result, they offer a good way to build credit if you are starting from scratch. And because the credit limit is tied to your deposit, there’s a limit to how much debt you can go into. Finally, if you don’t know your credit score, you can check it for free. In fact, there are several free ways to get your FICO score.